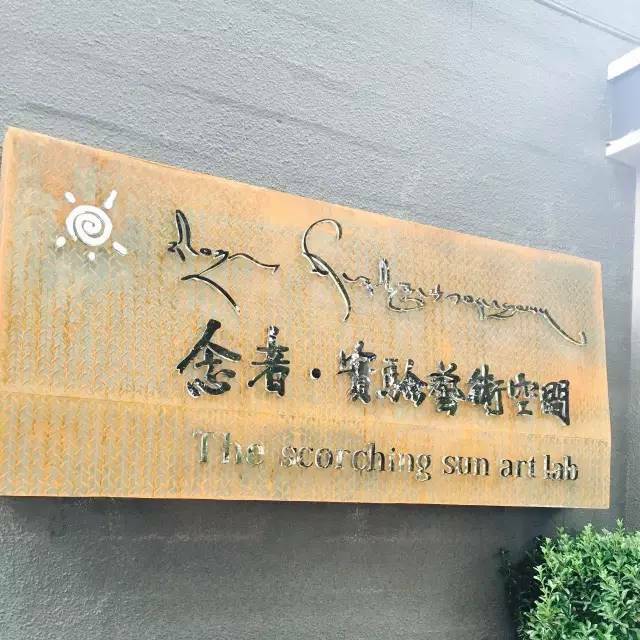 The author for Melong (the Tibetan word for mirror) visits the “Scorching Sun Art Lab” and interviews its founder, the renowned Tibetan contemporary artist Nortse. This piece accompanies the earlier article about the first exhibition held there last year titled “Journey from the Heart”. Art has the ability to present anxiety, confusion and suffering in a light way, without immediately terrifying the audience; art has the ability to slowly guide the audience to the spiritual core of a piece. This is my art. Melong visits the “Scorching Sun Art Lab” and meets its founder Nortse on Lhasa River’s Xianzu Island. How would I describe my feeling of initially meeting Nortse? Just like the uncle from next door, he made some delicious sweet tea, spoke standard Lhasa dialect and referred to me in honourific terms even though I am from a younger generation. Every now and then he would laugh somewhat bashfully and considerately pour me another cup of tea, patiently answering my, what I now feel were, rather naive and childish questions. 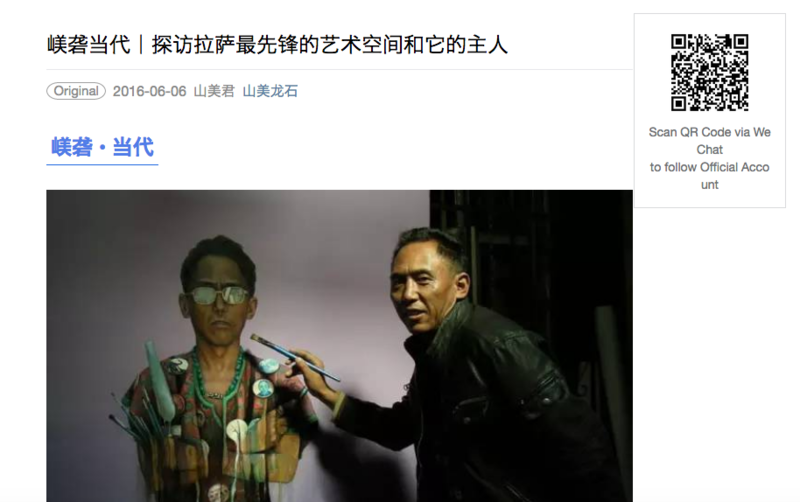 Others used to jokingly call Nortse “Lhasa’s kindest artist”, he is simply such a likeable person. But when you face his artwork, you sense that the creator feels a scorching pain deep inside, you sense his cries for hope and also his silent contemplation. 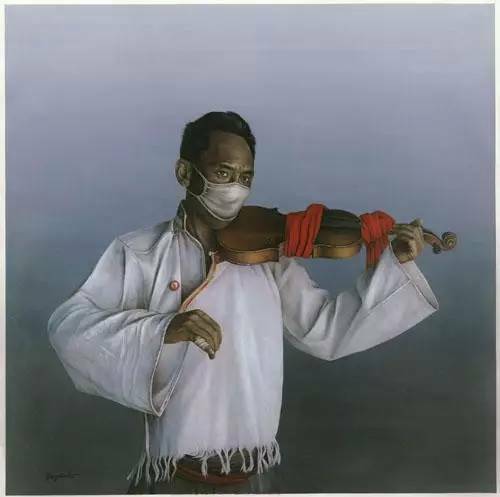 This was how I first felt when I encountered Nortse’s piece titled “Meditation”. The depicted scene shows a vast barren desert that stretches along into the distance. The wind blows down from the snowy mountain and from the desert. The ancient Buddhist robes tower in the background, turning their backs to this world. We don’t know if there is any flesh and bone wrapped up inside them. 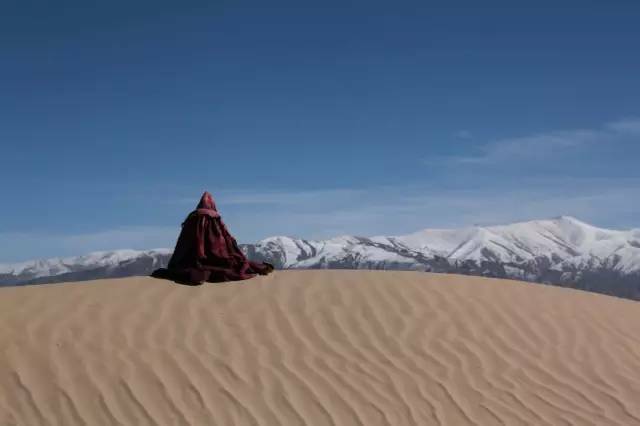 One just feels and hears the dry sand in one’s mouth, the dry lips chanting prayers which are immediately swept away by the wild desert wind. A deep pain starts spreading from the pit of one’s stomach. After meeting Nortse, the first thing I inquired about was the motivation behind and process of creating the piece “Meditation”. “In many monasteries, many monks would put up their robes after completing religious assemblies. So even after the bodies are gone, the robes still maintain their original shape and remain in their original space. 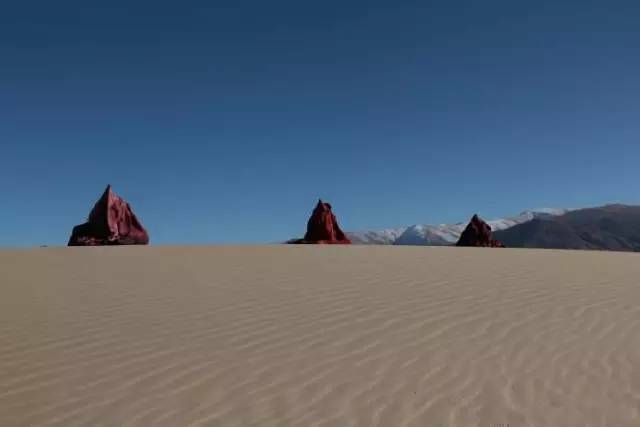 When the robes come into contact with the desert and mix with this particular landscape, it creates a special kind of scenery. Apart from works revolving around ancient Buddhist robes, self-portraits are another important element of the artist. 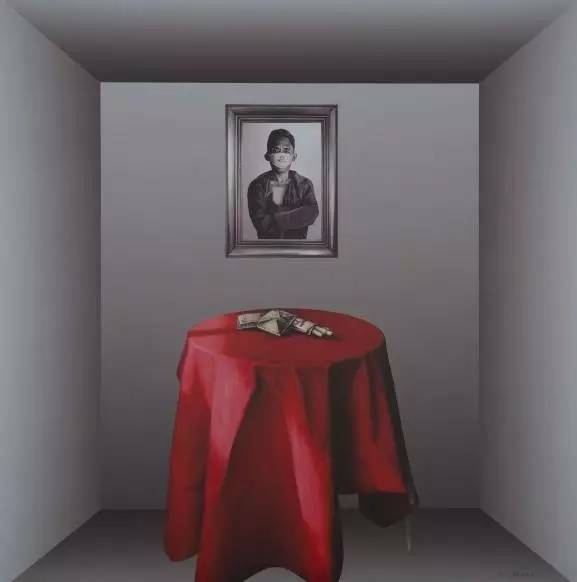 Last year, at Hong Kong’s “Rossi & Rossi” art gallery, they held an exhibition titled “Paper Dreams”; it included the self-portrait “Red Tablecloth I”. “This is not a conscious effort, these are just feelings accumulated through the portrayal of what’s in the heart”. 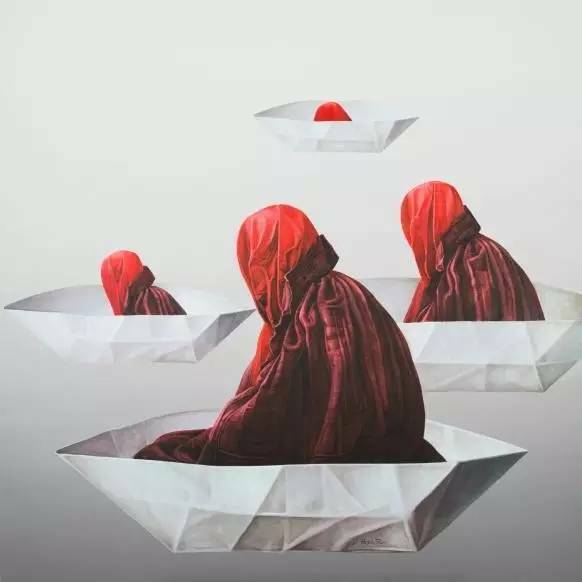 Another motif that reemerges in Nortse’s paintings is the paper boat. 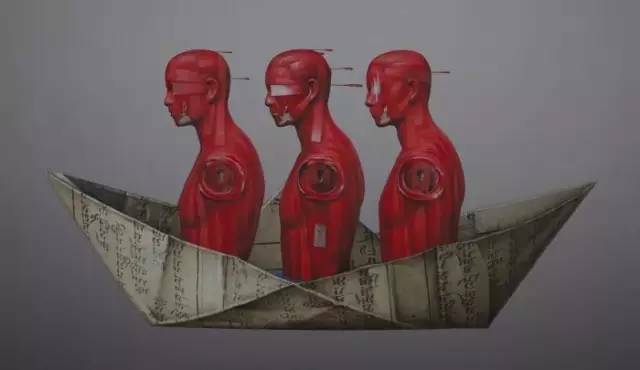 “When I combine the image of the paper boat with the prayers of my own culture, all kinds of fantastic demons and alien patterns emerge in the Age of Dharma Decline of the sutras. ‘When the iron bird flies in the sky, when the iron fish swims in the river, this is the time when dharma perishes.’ What I want to portray are my innermost worries and anxieties. Nortse also makes extensive use of ready-made materials to portray cultural change, industrialisation and the massive production of consumer goods. His most recent focus rests on cheap plastic imitations of porcelain tableware. 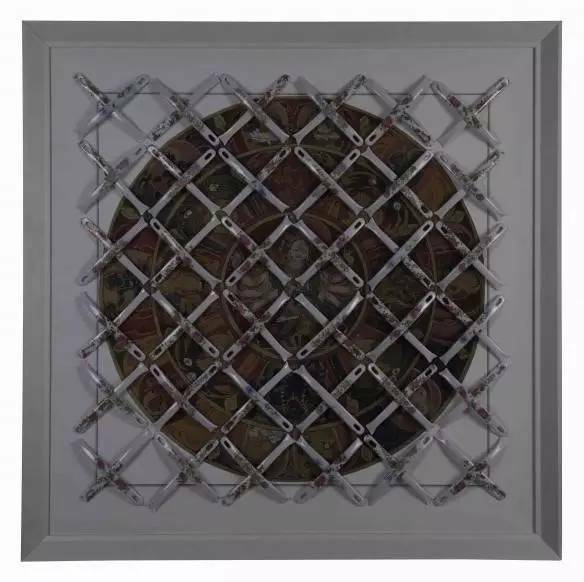 These works are not as gentle and moderate as the Buddhist robes or the paper boats, they are made from randomly-patterned porcelain cuts, which he rearranged and reassembled into different shapes, creating a sharp and unconventional feeling. By using these small, often overlooked items purchased at Lhasa’s markets, the artist hopes to make us aware of how mass production as a characteristic of consumer culture is actually harming our bodies and our health. Additionally, processing these inferior materials also reflects how these mass produced goods actually result in overall cultural damage. Finally, my discussion with Nortse returned to the topic of Tibetan contemporary art and its difficult situation. “Tibetan contemporary art faces many major challenges. It is mainly a question of the environment. 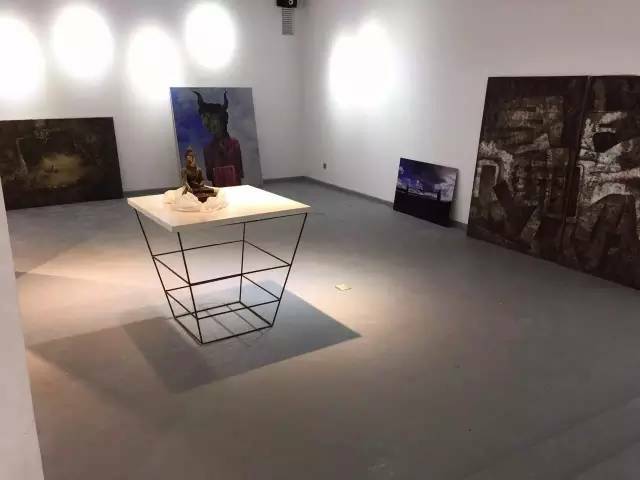 Contemporary art has no stable foundation in Tibet, not many people are practicing it, there are not many exhibitions, lectures or other events. The Gedun Choephel Artists Guild to which I belong has existed for over ten years; its original aim was to propagate and implement contemporary art in Tibet and its initial achievements were remarkable. But later, its development was impeded because of financial and other problems. The Scorching Sun Art Lab, Photo by Padma. On the left we see Buddha@Hotmail, a work by artist Gongkar Gyatso; on the right, we see an original object that Nortse uses for his paper artworks. Photo by Li Yu. So, Lhasa’s most pioneering, most interesting and most impressive art space is slowly developing along Lhasa’s riverside. This month (June 2016), a series of exhibitions and events will be launched here. The ground floor of the gallery. Photo by Li Yu. In the past, I participated in an exchange by Tibetan university students in Beijing and used my spare time to share some contemporary Tibetan art pieces. This might well inspire more people to inquire and learn about this form of art. Now, the Scorching Sun Art Lab provides even more vivid and professional commentary and explanations on contemporary Tibetan art. A more beautiful era is approaching. 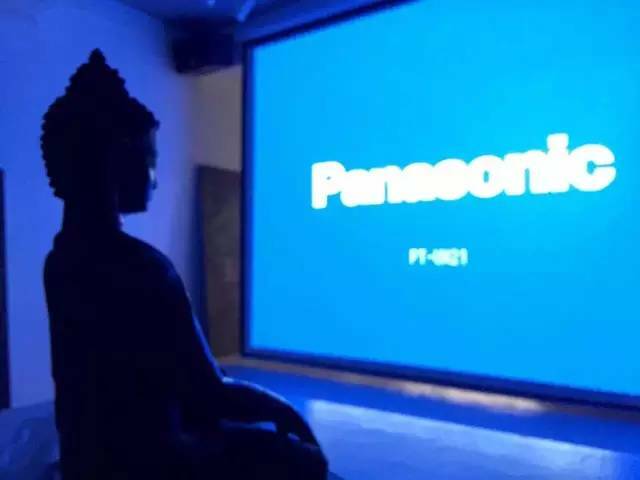 In the future, we will be able to enjoy higher quality exhibitions and more interesting lectures and screenings. With Nortse as the representative, contemporary Tibetan art is currently establishing a relationship with Tibetan society and local culture. A projector installation on the first floor. Photo by Li Yu. 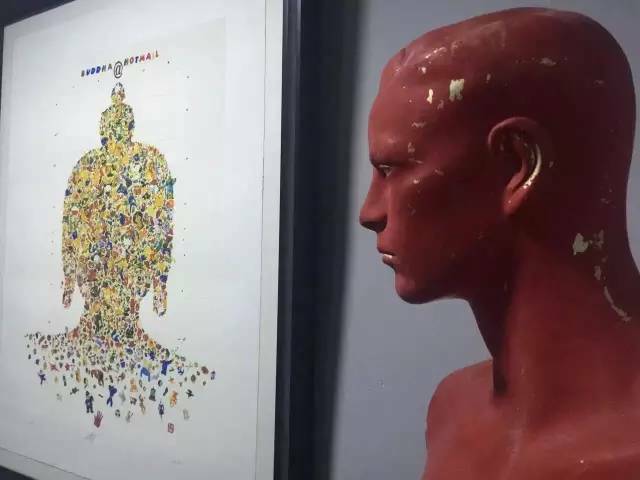 Art provides a perspective to look at and understand the world; contemporary Tibetan art offers an alternative to the traditional and religious worldview: how should people like us of this day and age look at the world that we live in? More information on exhibitions and events will be provided here. So please follow us. We should have a Tibetan-run Kha-btags factory, maybe as a joint project with an India company or expert. It would do very good business. 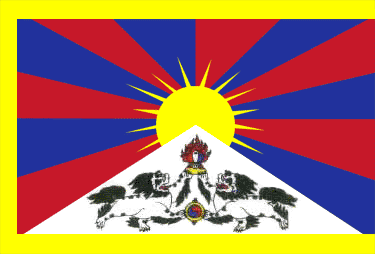 The Tibetan government-in-exile and many Rinpoches around the world could offer financial support. Tibetans should not use inferio products made in China. We should use traditional pure Kha-btags only, white for most occasions, yellow for Bla-ma (but only pure yellow, with no embroidery on it). The factory should make and sell other Tibetan Goods.